Posted on July 14, 2013 by Brendan Jones Posted in Inquiry, Mobile technology, Pedagogy, Physical education, teacherstuff, Technology	. I haven’t written much lately – I’ve honestly been smashed off my feet being back at school after a time away at PLANE. I did write a couple of posts earlier in the year about some ideas that I’d used in my teaching – an Inquiry approach for my senior class (“No Spoons”) and a little project based lesson in Year 10 Road Safety (“Road Safety Film Festival”), and its about time to update what happened there. I’d also better mention a video portfolio idea that came to fruition as well with my Year 9 Physical Activity and Sport Studies (PASS) class. I’ve also got some plans for this semester as well, based on where I’ve come from so far, and where I’d like to go. The name of the post “Looking Forward, Looking Back” is based on that idea, and is coincidentally a Slim Dusty song. I hadn’t really listened to it before this post was written, but it actually mentions poignantly some of the ideas I’m covering. Give it a listen! “No Spoons” was all about trying to avoid spoon feeding my senior class content for the HSC in PDHPE. It was clear that there was resistance to a change in what the students considered to be “good teaching” (i.e – content driven lecture style delivery with pre-made notes given out to complement the lecture). Our school has two PDHPE classes in the one cohort and comparisons between the teaching styles of both teachers were inevitably made (i.e some students observed that the “good” teacher was the one that taught in the traditional way, and I wasn’t – teaching in the traditional way that is, or good, apparently. That was a blow to my self esteem). Having to think, source their own information and answer questions was beyond some students right from the start. On reflection the way I went about introducing this method probably needed more thought, as what I ended up doing very well was instill a sense of fear in the students via the “change” in the un-negotiated, unilaterally imposed learning environment I created (as discussed in the paper “Managing Resistance to Change” – fear is a significant blocker to change occurring). Since the start of the year, I’ve probably swung too far back toward the traditional style I was hoping to replace as a way to placate some of their fears. 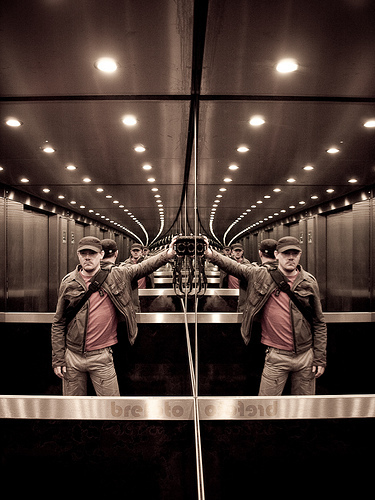 My goal will be to achieve some further state of equilibrium that meets both our needs. In fact, in future I’d probably start “traditionally” then ease into an Inquiry based approach, introducing questioning and reflection skills as course method gradually- thus trying to manage the fear of the students that their preparation for HSC exams was in jeopardy. Road Safety Film Festival was a project idea I had for getting my Year 10 PDHPE class to think creatively about road safety as well as producing an artifact that could be used in future as a resource and timulus for following cohorts. In the end I got one video back from one group of students – in the grand scheme of things, it was a failure. There were some great teaching moments that occurred, but the final product was lacking. The class is possibly my best thinking and motivated class, so their attitude was OK, but it didn’t catch as well as I thought it would. Reflecting on the process and outcomes, I had to admit some blockers had cruelled the idea. Firstly, I only get to see the kids once a fortnight in the classroom and time designated as “production” time – this is too long between lessons to maintain continuity. Secondly, the use of mobile devices to produce the video was problematic. We have mixed messages at my school about student use of mobile phones in class – officially mobiles are banned. This creates suspicion and confusion amongst the student when they are asked to USE them in class. Some kids use the school rule as an excuse NOT to use them for a project like this. We don’t have school owned cameras to fill the void. This was very frustrating. This situation is a work in progress for me. I haven’t posted anything about this. In Year 9 PASS, we had the students produce a video application for a fictitious Sport Academy. Shot on mobile devices, the students were given a set of skills that needed to be showcased in a video evidence reel.It was left to them to work out the logistics of shooting, what they shot, and the final video production. Some chose to do all their shooting at school, some did it after hours. This was a bright moment last semester, for a couple of reasons. Firstly, because the Year 9 PASS class wanted to use their phones and actually produced some quality work. Secondly, another member of staff worked with me on this idea, and as a result they appreciated the potential that this sort of idea provided. Too many of my ideas involve being a “lone wolf” – doing it on my own, separate from the faculty, but this one was significant in the way the someone else came along for the ride, and is now an advocate for this sort of work. On reflection, a different cohort of students produced a much different result to the Year 10 group who produced almost nothing. My job will be to work out what conditions existed in one productive setting, and not in the other, and use that as part of my “Looking Forward” planning for the upcoming semester. As for the “Looking Forward” new projects for semester 2, I think I’ll need another post to describe them. But I know that the valuable experience of trying, failing, reflecting and modifying has to be cycled through continually for ideas to take root and flourish. Posted on March 31, 2013 by Brendan Jones Posted in Health Education, Inquiry, Mobile technology, Pedagogy, Technology	. Our theory program for Year 10 in Semester 1 is called “Party without Pain”. It deals with the intersection of multiple risk factors when celebrating, and hopefully leaves the students with a better understanding of the concept of “celebrating safely”. One of the risk factors we cover is road safety. Trying to make this concept interesting and providing the students with an authentic way to demonstrate their understanding can be tough. I like the impact of visuals on learning, but the number of road safety ads in the media means the opportunity for exposure to new, interesting visuals is pretty low. So it struck me… why not invite the kids make their own? Thinking about it, I decided to base my idea on Tropfest, the “World’s Largest Short Film Festival”. I liked the Tropfest concept for a couple of reasons – the films are necessarily short, and they have something called a TSI (Tropfest Signature Item). More on the TSI later. So our work in this class looked like this. The kids formed groups, discussed the question amongst themselves and then on mini whiteboards posed their important questions. Why are young people in so many crashes? What are the risk most associated with crashes? We then talked about these questions, and the concepts that the questions distilled down to. We came up with the following: Cars, Sad, Risk, Shock, Stupid, Angry, Tired. The groups picked a word from the concept list. This word would be their film title and theme. The film also had to include an ESI (Erina Signature Item). In this case the ESI is a set of traffic lights. The ESI can be used in any way. 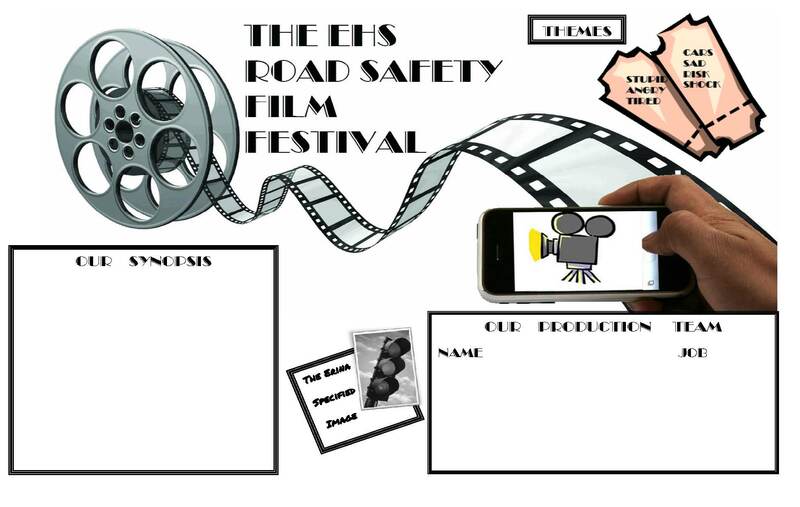 The task is to create a short movie, using the theme as focus, with road safety as the general setting. Each film has to have the ESI somewhere in there too. They can use their phones to shoot footage (or any camera for that matter) and the software on their DER laptops will be fine to edit, compile and publish their final product. A storyboard of their synopsis (as a draft of their work) is required as well. The production buzz in the room was cool once they knew what they had to do. Ideas and laughter flowed – two things that I really value in a learning environment! But the proof is always in the pudding. I’m interested to see what the kids make of it. I’ll let you know how opening night at the Erina Road Safety Film Festival goes. Tags: Inquiry, mobile phones, road safety	. Posted on October 24, 2012 by Brendan Jones Posted in Physical education, Technology	. I recently bought some DVR glasses from Kogan. I thought they might be an interesting experiment for a PE classroom. This test was with my son sitting in the front seat of our car, on the way to his school. I noticed the .avi video quality was much better viewed straight form the memory card. Uploaded to YouTube, it seemed to lose some of it’s clarity. He was a bit quick with his movements too, and that would be a user technique to refine in the future. I reckon they could be good for video explanations of work done or skills learned from a performers point of view (POV). I’ll take them to the cricket nets next. I’ll try riding my bike with them as well. What do you think they could be used for? Tags: DVR glasses, video	. Posted on September 8, 2012 by Brendan Jones Posted in Cycling, Technology	. I was out riding today, and got swooped twice by magpies. I love magpies, but they unfailingly scare the hell out of me when they do that. I know the swooping only happens at the beginning of Spring, and I’m ready for it. But I know some aren’t. So I started a map to locate swoop zones for unsuspecting cyclists. Forewarned is forearmed, they say. I’d like to crowdsource this into a bigger resource. If you know of a magpie swoop zone, leave details in the comments and I’ll add them to the map. 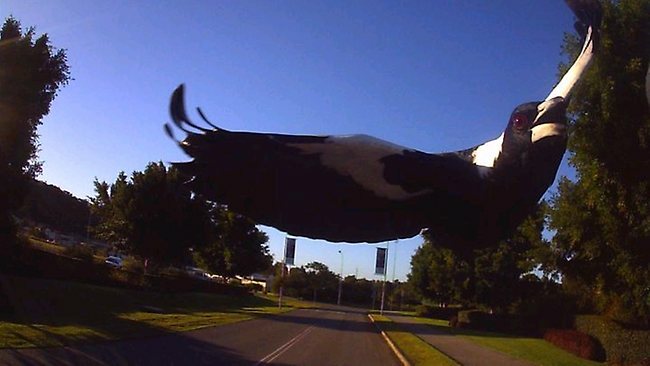 Tags: cycling, Google maps, Magpie	.